Blocked Drain Exeter rapid drain unblocking. Call 01392966373 us now! If you’re having problems with your drainage systems, call Blocked Drain Exeter. Our team of friendly, reliable drain engineers work 24 hours a day 7 days a week, so there is always someone on hand ready to respond to your call. A blocked drain can be a huge inconvenience, which is why our team of technicians operate around the clock so you can rest assured knowing that no matter what time of day or night you call we’ll be ready to assist you. Blocked Drain Exeter have years of experience in the field and come highly recommended from both past and present clients. With all the latest technology and equipment, no job is too big or small for us so all you need to do is pick up the phone and speak to a member of our team for more information. Blocked drain Exeter are your number one for fast response professional and comprehensive drains services at your home or at work. whether you’ve got a blocked toilet or collapsed drains blocked drain Exeter has you covered no matter the time of day or night. 24/7 fast response drains specialists if and when you need them. Don’t need someone right away? Not to worry we’re open 24/7 and can be with you right away or at a later time to suit you. 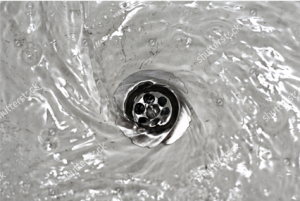 Blocked Drain Exeter has over 20 years experience and all the tools and skills to make any drain issue a thing of the past, and keep it that way. Call now and speak to one of our trained adviosrs about all of the great services at the tip of your fingertips. Getting your drains unblocked has never been easier. Call today and you won’t pay a single penny in call out fee and we won’t charge you any VAT. Call and speak to someone about your drain issues now! Blocked drain Exeter is your local go to drains specialists for the the Exeter and surrounding areas with no call out charge and no VAT to pay on any of our services. We offer a comprehensive drains service that you’re able to call on if and when you need it. 24/7 service with dedicated drains specialists with over 20 years experience and all the tools to make any drainage issue a thing of the past, today! Blocked drain Exeter won’t charge you an arm and a leg like other drains companies. In fact we try our hardest to make our prices as competitive as possible so when you call us you know you’re paying for our time and nothing else. No call out charges no VAT no add ons for using different tools. Call now and speak to one of our trained advisors today, we’ll point you in the way of the best and most cost effective to whatever your problem might be. With drain jetting and CCTV drains services to just name a few we’ll be able to tackle any drainage issue you put in our way. Customer satisfaction is our number one priority, and we aim to provide every client with the very best service at the best prices. Blocked Drain Exeter offer genuinely low fixed rates with no call out fees or hidden costs, so you’ll always know exactly how much you’re paying beforehand regardless of how long it takes to complete the job. A blocked drain will never go away on its own, so it is important to call as soon as you notice any of the early warning signs of a blockage before they lead to a more damaging problem such as flooding. The team’s experience ranges from domestic to industrial drains. Our experience has been built up over decades of working in the industry. And we have had many successes. Whether you need to request a drain engineer, or simply have questions and need more information, there is always someone on the other end of the phone so all you need to do is call Blocked Drain Exeter today. If you’ve got a problem with your drainage systems, call Blocked Drain Exeter. There is one important thing to know. You need to act when notice the early warning signs of a blocked drain. Call us rather than ignore the signs. As ignoring the problem may lead to bigger issues such as flooding. Our team of specialist drain engineers work 24 hours a day 7 days a week and are fully equipped to tackle any problem, big or small. 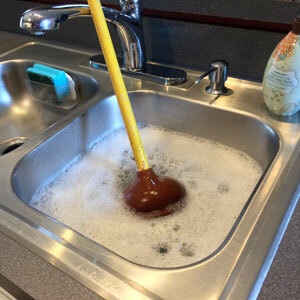 When Joyce found a blockage in her kitchen sink, she called Blocked Drain Exeter. We were able to respond to the call within 2 hours, and her drains were restored back to normal in no time at all, leaving Joyce to get on with the rest of her day with minimal interruption. Blocked Drain Exeter offer genuinely low fixed prices. There are no additional hidden costs or call out fees. So you know have an idea of how much you’re going to be paying beforehand. It does not matter how long the job takes to complete. It may seem easier to try and fix the problem yourself, but this can often lead to additional unwanted problems that are more expensive and can cause more damage, which is why we recommend calling Blocked Drain Exeter. The team have years of experience in the field and come highly recommended by both past and present clients, which is why Joyce knew she could rely on us to provide her with the very best service for the best price. Blocked Drain Exeter believe that prevention is the best solution, which is why we always use the very best preventative methods to ensure that you don’t have to face the same problem again, saving you time and money. So if you need a drain engineer urgently, call Blocked Drain Exeter and speak to one of our trained advisors for help and guidance, as well as a free no obligation quote. For fast, efficient and fairly priced drainage services, call 0139 296 6373 Blocked Drain Exeter. Call Our team of professional drain engineers work 24 hours a day, 7 days a week for all your emergency plumbing needs. 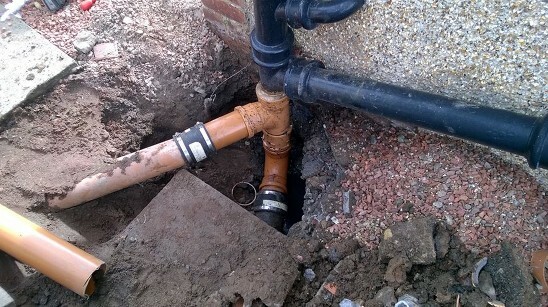 We understand that when you discover a problem with your drainage systems it can be hugely inconvenient, which is why we guarantee fast response times with average call out times of within 2 hours. Whether you’ve got a blockage, need repairs or maintenance, or even CCTV surveys our team are ready and waiting to offer you the best help and guidance with your drainage problems. Blocked Drain Exeter are fully trained, and with years of experience in drainage and groundwork you can trust us for the best quality work. It can be a nightmare when you find a blockage. Most people don’t know this but a lot of blockages are avoidable and can be prevented. 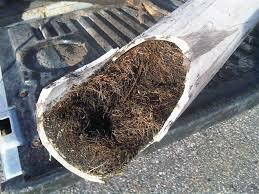 There are two types of drain blockage in the home, internal drain blockages and external drain blockages. 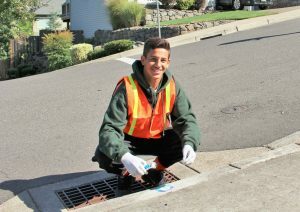 To know how to prevent these we must first look at what different types of causes are culpable for which types of drains. We’ll start with internal drains which are most commonly blocked due to build ups of oils and fats (kitchen sinks) or sanitary products (toilets). 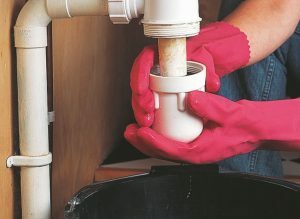 So in order to prevent a internal drain blockage all you have to do is avoid the temptation to dispose these things down your sink or down your toilet and this could actually go a long way to preventing a blockage and then eventually a call out. External drains are a little trickier to maintain as the main causes (tree roots and piles of leaves) are natural and therefore a lot harder to prepare against. Not to worry as we not only clear blocked drains but also we can help you maintain and clean your drain in order to prevent a call out. We use rotary mechanical drain cleaning equipment which in basic terms is a spring with a cutting arm that when traveling through your pipes will clean and descale them until they are back to their normal diameter. Call our 24/7 phone lines and speak to one of our trained advisors and see what we can do for you, today! Can blocked drain Exeter help me with my indoor drains? Equipped for large home and commercial jobs. Our quick to action staff are always here and available for your emergencies as well as for your daily blocked drain Exeter needs. 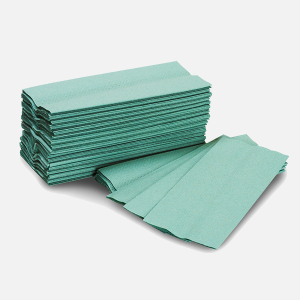 This naturally also covers any indoor issues that you are looking to have resolved as well. At your service, at any time, we’ll be there fast for outdoor and indoor drain clearance jobs at your convenience. Maintenance blocked drain Exeter work is performed around your schedule and we can assist you with the full service of your indoor drains as a one off thorough cleaning instance. Or a s block maintenance booking to keep your drains in top conditions no matter what type of heavy use they might see day to day. Our skilled blocked drain Exeter technicians can also provide advice and consultations towards drain modifications and help you find the best solutions for your business. Both for your indoor pipes and system, as well as your outdoor drains. Including those which are not exposed. CCTV drain surveys and other high tech services are also available to book in for. With the competitive prices that our understanding blocked drain Exeter practitioners bring. You’ll see that we believe that good drain health is for every situation and every person. Why let clogs and blocks leave a foul smell in your day to day. When free flow and efficiency is just around the corner. Call and speak to your blocked drain Exeter expert now to find out more about how a simple drain modification or drain clean can help you. No problem is too big or too small for us, so as soon as you notice a problem don’t hesitate to call Blocked Drain Exeter. We offer low fixed prices, so you’ll always have an idea of what you’re paying no matter how long the work takes to complete. Knowing that Blocked Drain Exeter are always readily available to help can take a great amount of stress off of what can be an extremely stressful and troubling situation. Blocked Drain Exeter can complete most jobs within the hour, leaving you to enjoy the rest of your day with minimal disruption. Call Blocked Drain Exeter now to speak to a trained advisor for some friendly help and guidance, and a free no obligation quote. When 70 year old Patricia found a blockage in her toilet she called Blocked Drain Exeter for help. Blocked Drain Exeter were able to respond to her call swiftly, allowing her to get on with the rest of her day with minimal fuss. From her initial call our trained advisors gathered as much information as possible to establish the most effective course of action, and we were able to arrange a time to come and sort the problem out that suited her most. Using the latest technology and preventative methods we not only fixed the problem she had uncovered, we were able to ensure that she would not experience this problem again in the future. Blocked Drain Exeter service carries out all drainage work both commercial and residential at any time of day and night for all of your emergency plumbing needs Call: 0139 296 6373. Providing fast response and a call out time within 2 hours, so you never have to wait around for long when you find yourself with a blockage situation. The team offering fixed prices so you always know how much you’ll be paying no matter how long the job takes, guaranteeing genuinely low prices for any drainage job that you need. You can rely on the trusted local team for the best service, with years of experience and a wealth of plumbing and drainage knowledge. High pressure water jetting has been used for cleaning dating back to the mid to late 1800s in the mines and then used for cutting in the steel industry. To this day high pressure water jetting is still used in the fossil fuels industry for cleaning wells and equipment when other methods may prove impossible, it is also still used to cut steel in many industries where the pressure of the water can reach up to 20000 psi. Blocked Drain Exeter and High Pressure Water Jetting (HPWJ). Here at Blocked Drain Exeter we use HPWJ to clear blockages and drain maintenance where we use pressures of around 2000-3000 psi rarely exceeding the latter as not to damage pipes. There are two main advantages of using HPWJ and we believe they are, firstly HPWJ doesn’t require ripping up of pipes like other methods can, which makes HPWJ a lot more cost effective. Secondly HPWJ is just water without any of the nasty corrosive chemicals used by other companies to clear drains, as this is bad for the environment unlike HPWJ which again is just water. 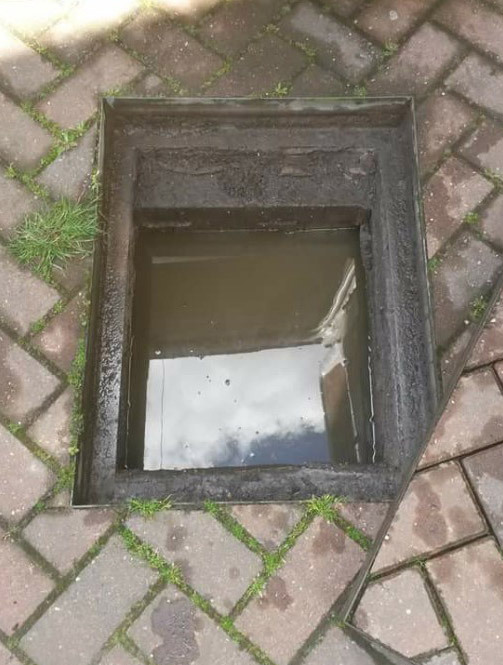 Here at blocked drain Exeter we’ve been unblocking drains for over 20 years and over that time we’ve attended some horror stories, from external drains on building sites blocked with cement, to internal toilet blockages which can prove just as tough to deal with. But the one thing that really seems to get to our customers is when we tell them that they caused the blocked toilet and that they could’ve easily avoided it if they were a little more careful with what they flushed away down the toilet. We know it’s probably not the best business model to have, telling potential customers that they can prevent a call out and having to use our services, but we felt like after 20 years of hard evidence to back our claim, and the fact we might even be able to prevent your blockage before it even forms is a job well done for us. So firstly you have to look at what causes a blocked toilet and that’s usually sanitary products and other bathroom items such as paper towels and cotton buds, none of these things belong in your toilet and if you’re careful what you flush you might save yourself some time and money. Don;t fret if your drain or toilet is already blocked as there’s no such thing as too late to call us and sort out a blockage. Call our 24/7 phone lines and speak to one of our trained advisors today and see if we can’t help you out. Drain Unblocking Exeter understand how stressful it can be when you find with a blockage and are readily available to find a resolution for the problem promptly and efficiently with little disruption caused to your home. If you think you may have a blockage, then don’t hesitate to get in touch with one of the team for a free fixed price quote. Don’t wait to deal with the problem as generally ignoring a blockage can cause a knock on effect and create major drainage problems and can sometimes even cause flooding. The team at Drain Unblocking Exeter pride themselves for their excellent customer service, always providing the highest quality of work and never leaving until the job is completed. Operating a 24 hour rapid response so you can rest assured there is always someone on hand to help you in your time of need. A Blocked Drain Exeter situation doesn’t have to ruin your day so contact one of the professionals for help and guidance on your personal drainage situation today. 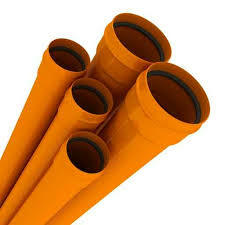 Dealing with all manner of drainage services including blocked sinks, drains, baths, showers, toilets, dishwashers, washing machines, manual rodding, high pressure water jetting, CCTV camera surveys, drain relining, sewer repairs, excavations, root-removals, home buyer surveys, emergency plumbing services and more. 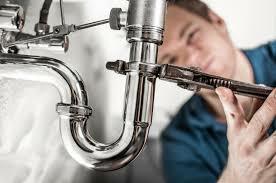 As well as clearing blocked drains and guttering, the specialist team also offer a general 24/7 plumbing service. If you have a leaky tap, a pipe that is dripping, a blocked sink, then Blocked Drain Exeter can help – and offer great rates. Assisting with most types of domestic or business plumbing emergencies call one of the friendly advisers for a free, no obligation quote. One of the absolute best methods to keep your drain free is to be careful about what you put into it. Cooking fat, coffee grounds, soap scum and hair are a drain’s biggest enemies. Avoid getting any of these substance down the drain and instead dispose of them in the bin. Put cooking fat in an old tin or milk container. Then dispose of it in the rubbish or recycle if you have the facility in food waste. Throw coffee grounds away in the waste bin or add them to your compost heap. Use a mesh screen to cover the drain’s opening and prevent problems with hair and soap scum. These are all simple ways you can help to prevent a Blocked Drain Exeter and ensure your drain keeps on flowing freely. Why should you call Blocked Drain Exeter? 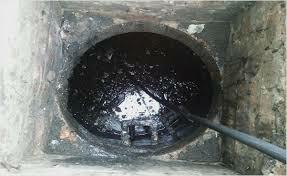 If you have a blocked drain, you need your problem solved fast, and we here at Blocked Drain Exeter know that! That’s why we’ll be with you within 2 hours, faster than any of our competitors. And what’s more, we even offer better prices! We pride ourselves on being an affordable solution for everyone as we want to give back to our local community. Drainage experts often come at a premium price, but our team never charge VAT or call-out fees, allowing us to help you for the least cost possible. We work tirelessly 24 hours a day, 7 days a week, 365 days a year to make sure that no one is stuck with a problem that they can’t fix! The holidays can be the worst time for drains due to the cold, so we even work Christmas, Boxing Day and New Years to ensure you have the option to call us. Our friendly telephone advisors are trained in everything drains and can give you accurate information on any problem you call with. We then send out our expert drain engineers, who have seen it all before and, most importantly, fixed it all before! No problem i s too large or small, we can help with everything from a minor sink blockage to a major sewer pipe dilemma such as tree root intrusion or soil corrosion. We’re reliable, trustworthy and fully qualified to undertake any job. Our engineers use only the best equipment for any work, and keep up-to-date with the latest technologies and drain clearance methods to ensure we’re ahead of the curve. We only use non-destructive techniques and as far as possible use non-intrusive methods – unless we have to excavate your garden for new pipes! For these reasons and more Blocked Drain Exeter is the first place to call, so why look any further? In the not so distant time before CCTV surveys, the only way to clear a blockage was to find it by firt ripping up your existing pipe work, before unblocking it manually. Luckinly we don’t need to go to such lengths anymore. And that’s thanks to our state of the art CCTV surveying technology, it cuts out having to find a blockage by digging up pipes and possibly your garden and lets us see what’s going on down your drain without getting so dirty. This is massively useful to us but has also dropped the cost of having your drain unblocked quite considerably and has made the whole thing a lot less time consuming. So how exactly does one of our team use the equipment and in what situations do we need to use it in? Well a CCTV survey will first start with a member of our highly experienced team feeding a camera attached to a rod that he or she will guide all the way along your drain and through your pipes until reaching the end. Then after carefully removing the pipe they will gather the data collected and produce a report on your drains using the footage captured by the CCTV equipment. If we discover a crack or a fracture in your pipes or if you or anyone does for that matter! Never leave it and always get someone out to sort it as this can cause more serious problems later down the line like leaving bad odours and even attracting vermin. Lucky for you if any of this sounds familiar, we run a 24/7 365 days a year phine service with an emergency call out service too so even if you have a blockage at 10 at night we’ll still be on the scene to clear it up for you, fast. Call our lines and see what we can do for you today! Calls are welcomed, even if you just wish to learn some more about our CCTV equipment or any of the other equipment and services that we offer!